Born Hyderabad, India, 1950. 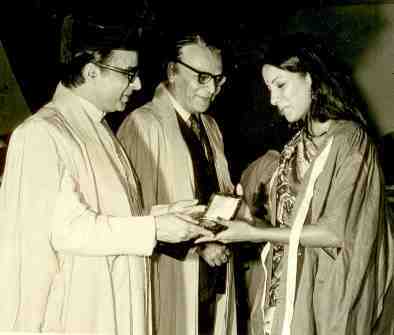 BA Psychology, St. Xavier’s College (1972); Film and Television Institute of India (1973). Famed Bollywood actor and activist Shabana Azmi describes the changes in India’s film industry from the 1970s to today, making comparisons between the evolution of commercial film and the alternative 'parallel cinema,' a Bengali movement that produced artistic and socially minded films. Azmi explains how her work in groundbreaking films, such as the dramas Ankur and Paar, led to her activism on behalf of the rights of women and the poor. She also discusses the shift in financing film from a more piecemeal, protracted process to one dominated by large corporations, and how this has influenced even the content of films. She describes the workings of the Central Board of Film Certification and, particularly, its approval of the highly controversial film “Fire,” which set off riots for its depiction of a lesbian relationship, and also relates her experience as an MP in the upper house of parliament. She reflects on her experience as a woman and a Muslim in an industry and country that is patriarchal and Hindu majority. "Acting with a Purpose; Shabana Azmi, Queen of Indian Film, Sees Her Art as an Agent of Change," South China Morning Post, February 15, 2015. "The Grande Dame," MintAsia, January 2, 2015. 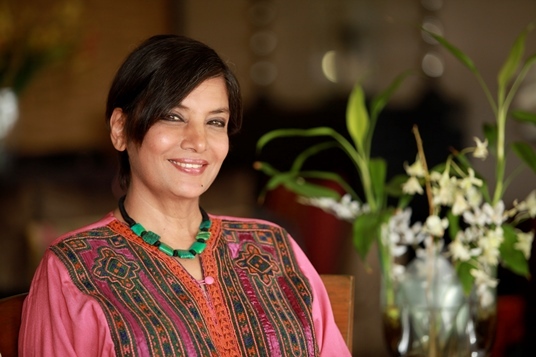 "Interview: Acclaimed Indian Actress Shabana Azmi on Women, Cinema and Democracy," Al-Ahram Gate, April 16, 2014. 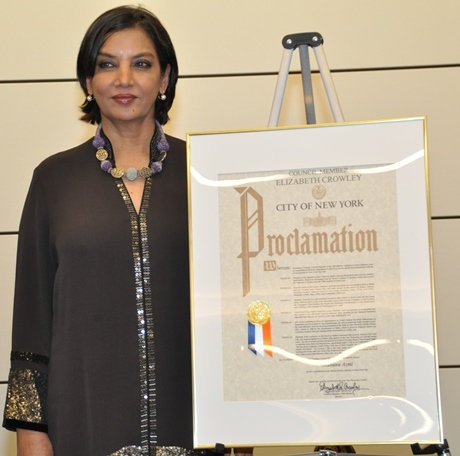 Shabana Azmi, Acting On Her Convictions, NPR, May 31, 2011. "A Conversation with Shabana Azmi," Posted October 20, 2010. Anil Saari, Indian Cinema: The Faces Behind the Masks. New Delhi: Oxford University Press, 2011. Interview with Shabana Azmi, interviewed by Rohit Deshpande, November 30, 2015, Creating Emerging Markets Project, Baker Library Historical Collections, Harvard Business School, http://www.hbs.edu/creating-emerging-markets/.